Chances are you’ve read somewhere or heard from someone that you should be using Vitamin C in your skincare routine. And though I’m always switching up my routine, one of the few skincare products I’ve been using consistently for the last couple of years is a Vitamin C Serum. Since incorporating Vitamin C into my everyday routine, I’ve noticed huge improvements in my skin’s tone and texture. 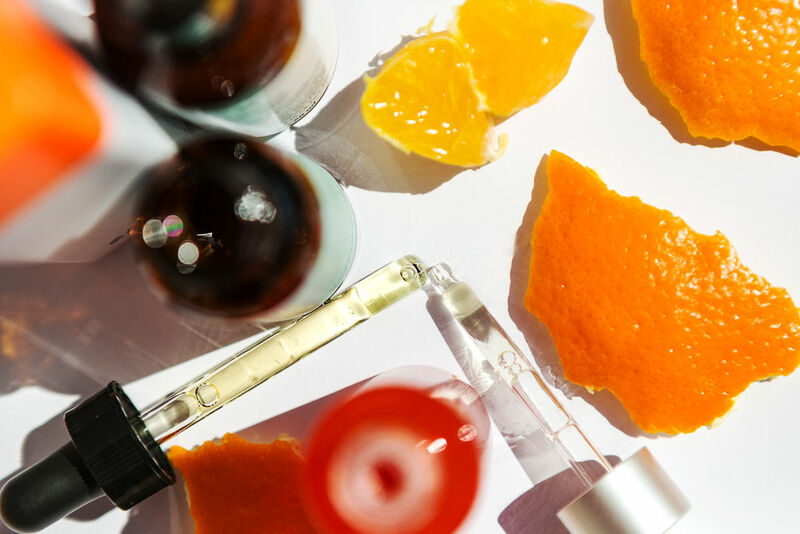 Two of my favorite Vitamin C serums are over $100, so of course, I made it my mission to find an affordable, high-quality one. Keep on reading to hear all about the $20 Vitamin C Serum that even my sensitive skin approves of! I turned to none other than Amazon to find a powerful, sensitive-skin friendly Vitamin C Serum. After spending quite some time reading ingredient lists and reviews, I ordered the TruSkin Naturals Vitamin C Serum. This serum has over 11k positive reviews, so I can’t say I’m surprised that I’m so impressed with it! I’ve been using it every day for a few weeks now and am really loving the light formula and how easy it glides on to my skin. I’m also really happy that it has no scent and that my sensitive skin is reacting really well to it. If you’re in the market for a Vitamin C serum that won’t break the bank (or that you can keep re-ordering without feeling guilty), I definitely think you should give this one a try. What’s your biggest skincare concern (anti-aging, dryness, breakouts, dark circles)? Let me know in the comments below! Great stuff! Love ♥️to try this product out! Thank you for your advices. I used to use the Liftactiv Skincure Sérum Vichy but it’s more expensive. Now I have to see if it’s available in Belgium (on the European Amazon store) ? OMG perfect timing for this blog post!! I am in the hunt for a vitamin C serum, I am in desperate need of one at the moment!!! I just started using vitamin c past few months and I like it a lot. Just bought one from the Ordinary, I haven’t started using it but definitely looking forward. I’m a little nervous because I got a facial to start using new skin care and the esthetician said I have really damaged skin barrier so IDK what the heck to do about that except she told me to use minimum products so let’s see haha wish me luck. 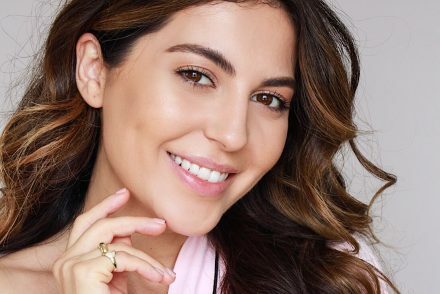 Sona I’d love an updated skincare routine definitely going to check this out! Gotta love Vitamin C and always great to find an affordable option – Thanks Sona! I want to try it!! ?? Thanks for a great recommendation, Sona! 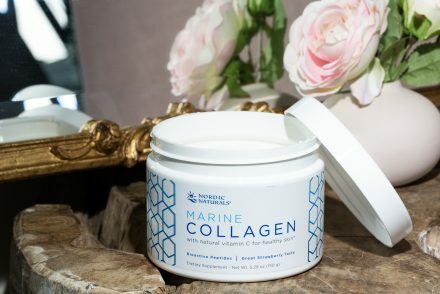 Since incorporating products with vitamin C, it has made a big difference in how my skin looks! I love a vitamin C serum and the one I am currently using by Maelove (which has other antioxidants in it as well) has discolored after a month. Does the TruSkin Serum do that? I have been getting a lot of acne on my cheeks and chin. I eat pretty healthy so I’m not sure what it can be. I’ve been told to use some Vitamin C oil but I’m not sure which one to get. But I will try this one. Great post by the way. Thank you so much for this I been looking for something inexpensive and good quality! Love all you advice! I been on the hunt for a good reasonably priced Vitamin C serum. Perfecting timing, i will check it out for sure!! Love your tips Sona! Yep….it’s great! This is the Vitamin C serum I use. This sounds super interesting! 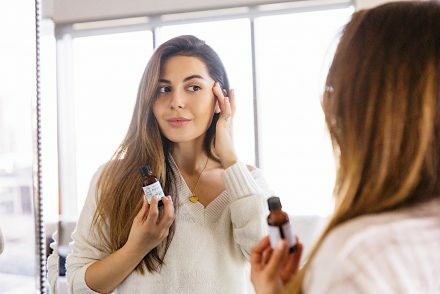 I was using a serum from the Ordinary but I totally trust your judgement and I think I might try this :) my BIGGEST concern, however, is anti- aging! I’m 39 (?????) and I’ve seen a VAST change (not for the better lol) in my skin in the past 2 years. My biggest skincare concern is breakouts and dryness. I breakout when I eat eggs. It’s a good recommendation btw. Wow. Its so helpful. Anti-aging is my major concern. My biggest concern is acne scars and open poresss and Anti aging . Is it gud for a beginner to use this VIT C ? 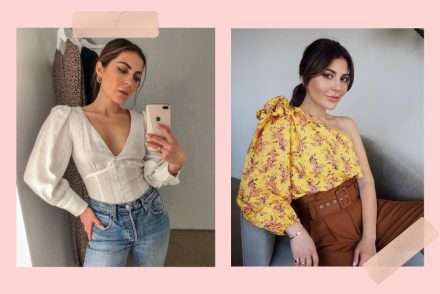 Between love ur blogs and ur YouTube videos ?? I love vitamin C and currently use the Kiehl’s Powerful Line-Reducing Concentrate which is awesome! Def wanna try it. You know if it safe to use during pregnancy ?? ? Never heard about this brand, seems very interesting! I just started creating my routine, I bought my first vitamin c product, the Dear Klairs Freshly Juiced Vitamin C Serum, it has been a few days so far so good, they say you only see differences after 1 month. But when that one is done i want to try this!! Thank you so much! Have a great day!! Do you have any recommendations for organic cotton rounds ?? It works great for me as well! More people should check this out! Thank you for sharing. 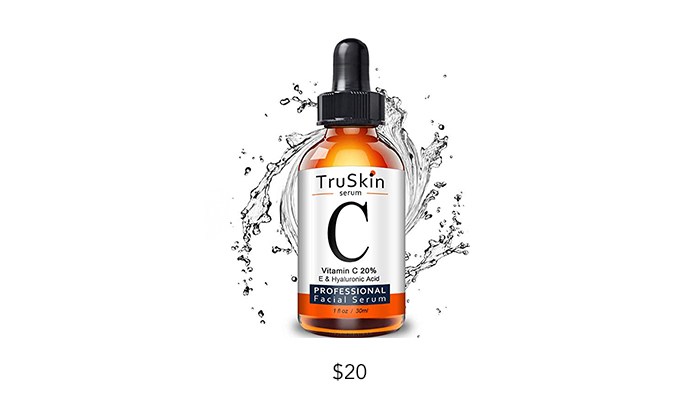 I ordered the TruSkin Vitamin C serum after this blog posted and I have been loving it!! Did not irritate my skin at all or gave me bumps like many others serums have… great choice, I will keep repurchasing it for sure! Hi Sona,Thank your sharing! That’s great post to sharing your experience with VITAMIN C SERUM. I have a dull face so I think this Vit C serum must be helpful. Not only dull face but I also face with blackheads which I have to force them out from my face all the time so I decide to use blackhead remover from https://www.womenangle.com/best-blackhead-remover/. I found a better result and ease of use. I really love your sharing.